I made this card for a friend of my sister. I thought that I had finished making Christmas cards...and was a little sad about that. Well, when my sister wondered about a handcrafted card for her friend...yeah, I jumped at the chance :o) My sister's friend "L" collects vintage aprons so I thought she might like a vintage style card. I'm playing along in 3 challenges with this card. This is the first time I've played along at Flourishes. I had no idea what I've been missing! 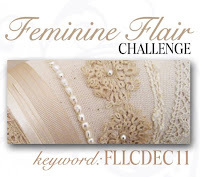 That graphic with the lace, pearls and ribbon really called out to me. 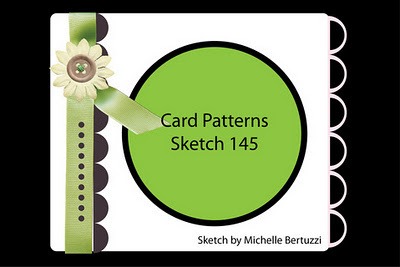 I loved the sketch at Card Patterns. As you can see, I turned it on it's side for my card. Hopefully they won't mind! At CASE Study, what struck me was the beautiful layering. I used 2 edge punches, 2 patterned papers 2 die-cuts, a few stamps, some stitching and some "frill" here and there. Of course, it took longer than I expected (I say that a lot, don't I? ), but I love the results. I just hope that "L" likes it! Both are gorgeous, but I adore that mitten card! I'd be glad to give you my address to send that right on over...hee hee! Super cute Susie! Love those pink checked mittens and gorgeous layering! So sweet! Vintage indeed, and such a warm, homey feel. Thanks for playing along with us at CASE Study! This is darling, what a sweet and country feeling card. Great job. 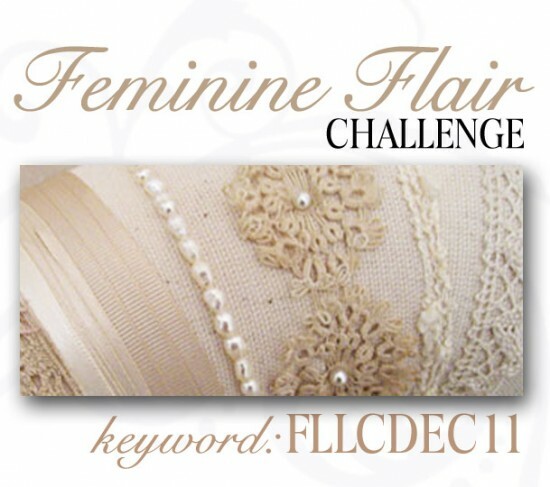 Thanks for playing in Flourishes Challenge! Merry Christmas! OMG! LOVE! This is just so sweet and I adore your style. I can totally see what inspired you from the CASE Study challenge, thank you for playing with us this week. I hope you have a wonderful Christmas. I love this card! It's a great CASE on the original and it's just super sweet! What a beautiful, little card! LOVE all the textures and colors you've tied in to this beauty! Congratulations, Susie, on your Top 3 win at CASE Study! Fantastic card, Susie! Your layering looks amazing, and you've captured the homespun feel beautifully! Thanks for playing along with CASE Study! So adorable. Thanks for playing with us at Card Patterns this week. 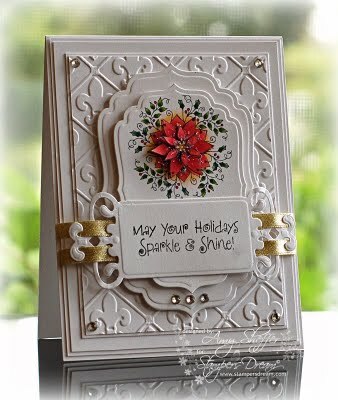 Your card is stunning Susie - detailed without being overwhelming, and such wonderful vintage styling! the first card is the most beautiful card i have ever seen, i mean it!!! beautiful creation! 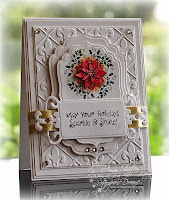 looove the papers and the bits of texture you added with the lace and punches. congrats on being a top 3 over at CASE study.